In a legal extradition tug-of-war between the United States and Russia, it seems France has won the game, surprisingly. A Greek court has ruled to extradite the Russian cybercrime suspect and the former operator of now-defunct BTC-e crypto exchange to France, instead of the United States or to his native Russia, according to multiple Russian news outlets. Alexander Vinnik, 38, has been accused of laundering more than $4 billion in bitcoin for criminals involved in hacking attacks, tax fraud and drug trafficking with the help of BTC-e crypto exchange. 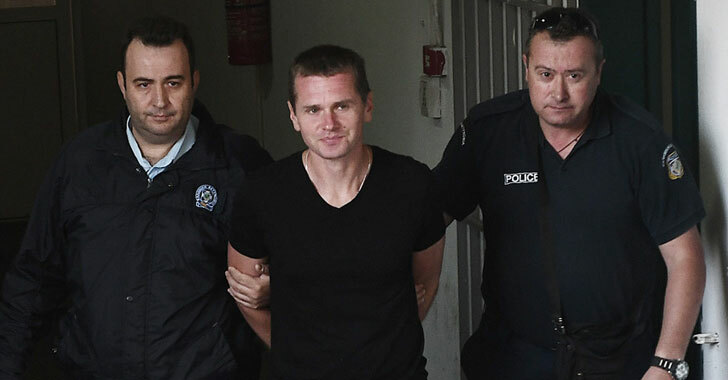 BTC-e, a digital currency exchange service operating since 2011, was seized by the authorities right after Vinnik's arrest in northern Greece in late July 2016 at the request of US law enforcement authorities. Vinnik is also accused to the failure of the once-most famous Japanese bitcoin exchange Mt. Gox, which was shut down in 2014 following a series of mysterious robberies, which totaled at least $375 million in Bitcoin. The U.S. authorities believe Vinnik "obtained" funds from the hacker or insider who stole bitcoins from Mt. Gox and sent them to a bitcoin wallet controlled by him and intentionally laundered the money through BTC-e over a period of three years. The Greek Supreme Court earlier approved Vinnik's extradition to the U.S. to stand trial on the charges with the operation of an unlicensed money service business, money laundering, conspiracy to commit money laundering, and engaging in unlawful monetary transactions. However, a Greek lower court in the northern city of Thessaloniki agreed Monday to extradite Vinnik to France, where he is facing charges for defrauding thousands of people worldwide, including about 100 French nationals, through his bitcoin platform and laundered 133 million euros using 20,643 bitcoins. Russia is also seeking Vinnik to face $11,000 worth of fraud charges, very low as compared to accusations made by other countries, although a hearing date for the Russian extradition request has not yet been set. However, Vinnik, who is in Greece jail, being insolent denying all the charges made by the United States, Russia, or France. "Yielding to external pressure, the Greek authorities continue to complicate relations with Russia. Several days after taking an unfriendly decision to expel Russian diplomats and to deny entry to several Russian citizens, they have adopted a decision to extradite Russian citizen Alexander Vinnik to France. It is obvious that Russia cannot leave these actions unanswered." However, reportedly Greece's justice minister can still overturn the court ruling and decide where Vinnik ends up—the United States, Russia or France. Vinnik's Greek lawyer Ilias Spyrliadis told Russian news agency TASS that he is planning to appeal against the court's decision in the Greek Supreme Court.